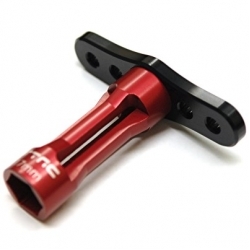 These wheel nut wrenches are machined from high quality aluminum in a two-piece construction. 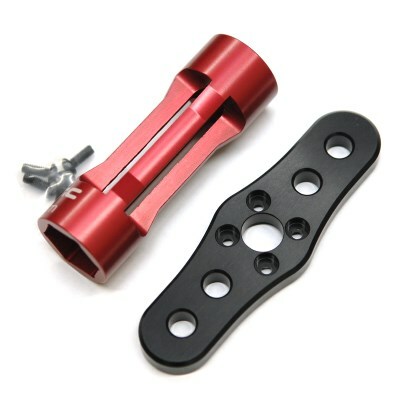 The slotted shank component of the wrench keys into the light weight drilled wrench handle and it is secured in place by 4 steel screws. 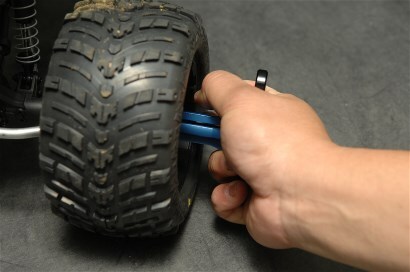 The wrench is also long enough to provide clearance for the hand when used on wheels with deeper off-sets (picture shows the wrench being used on an ½” off-set wheel from Proline).